The total collection of Uri till now is Rs 212.78 crore. Uri: The Surgical Strike featuring actor Vicky Kaushal is doing a wonderful business at the box office. Along with receiving praises, the film has also surpassed the fifth-week collection of Prabhas’ Baahubali. Uri minted Rs 5.58 crore on its 31st day and the total collection now stands at Rs 212.78 crore. It earned Rs 12.37 crore in its fifth weekend whereas Prabhas starrer had earned Rs 6.97 crore in the same week. The box office figures were shared by trade analyst Taran Adarsh on social media. The movie was based on the surgical strike that took place in 2016. From politicians to actors, many renowned faces have applauded the film. Written and directed by Aditya Dhar and produced by Ronnie Screwvala under the banner of RSVP Movies, the movie is still attracting a good number of viewers, some even saying that they’ve watched it twice. It was being said that Manikarnika: The Queen of Jhansi and Ek Ladki Ko Dekha To Aisa Laga will affect the business of Uri. However, the film is unstoppable. Apart from Vicky, it also featured Yami Gautam, Paresh Rawal, Kirti Kulhari, and Mohit Raina. On a related note, Baahubali 2 was directed by SS Rajamouli. 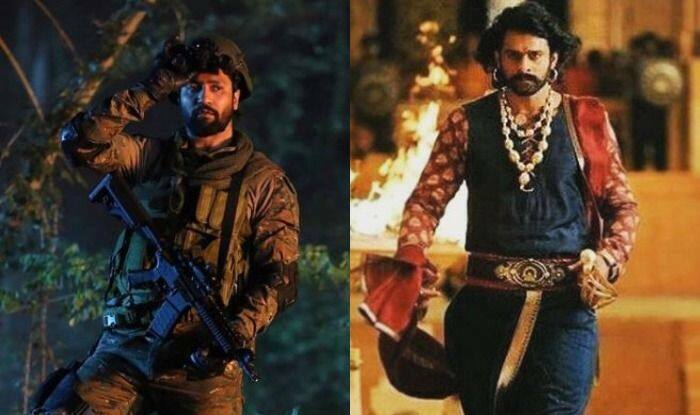 Apart from Prabhas, it also featured Anushka Shetty, Rana Daggubati and other stars in crucial roles. It turned out to be a big box office success.